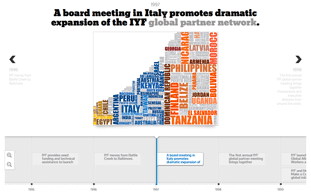 Every day, IYF recognizes the challenges and contributions of the world's young people and seeks to increase their access to opportunity. 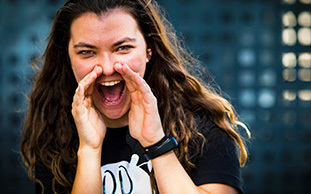 While we don't wait until the calendar nears International Youth Day, August 12, to draw attention to the importance of investing in youth, we do seize the chance to highlight the perspectives of young women and men on topics of global concern. Youth voices reflect individual experiences as well as similarities, in terms of outlook and challenges, that span international borders. Even more, they demonstrate young people's intelligence, passion, and desire for change. What does having “safe spaces” mean to you in your daily life? Why are they important? In your opinion, what should be done to make cities and towns more inclusive, safer, resilient, and sustainable? How can decision-makers ensure that youth perspectives on safe spaces and other issues are heard and given proper attention? What else is a top priority for you? While the UN's description of the theme for 2018 explicitly ties it to SDG 11, around inclusive cities, responses to our questions indicate the nuanced ways young people interpret the meaning of safe spaces. "'Safe space' refers to an environment whereby the youth can contribute or participate in economic, social, and political issues without any discrimination, harassment, or bias," says Obedi, a 20-year-old studying fitter mechanics in Tanzania. He is participating in Via: Pathways to Work, an initiative in partnership with the Mastercard Foundation working to improve economic opportunities for underserved youth. 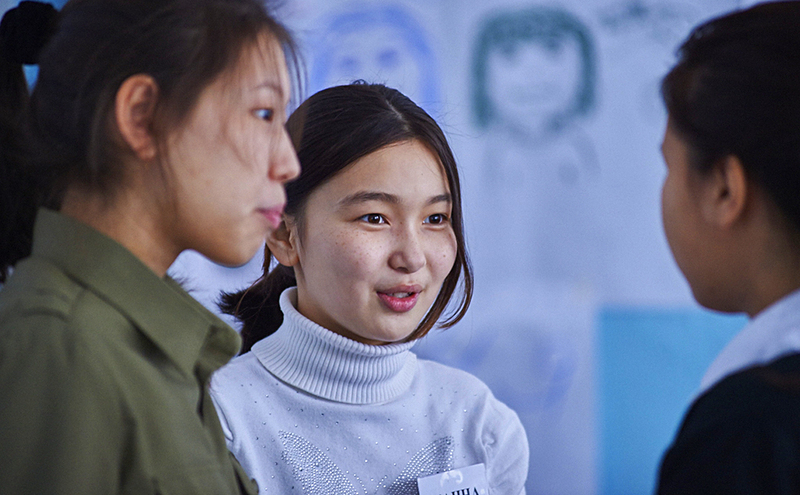 Being in a safe space gives you "the awareness that you have a right to have your point of view and confidently announce your opinion," says Illana, 17, from Kazakhstan. Illana participates in the Zangar initiative, which, in partnership with Chevron, reaches young people with STEM and Passport to Success® life skills training. "To be in a safe space is also not to be afraid of someone else's condemnation. A person feels more calm and confident," she says. However, safe spaces don't have to be solitary, nor are they isolating. 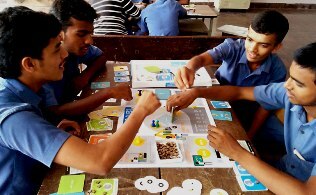 "A safe space is a meeting place where you can have a dialogue between people who hold different views," says Leonardo, 25, a YouthActionNet® Laureate Global Fellow who has launched initiatives that include a project aiming to help reintegrate FARC ex-combatants into civil society in Colombia. 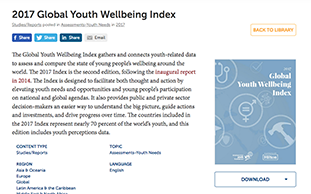 The 2017 Global Youth Wellbeing Index, created by IYF in partnership with Hilton, draws on youth perspective data, including on safety and security and health. Road accidents remain the leading cause of death for young people ages 15 to 24 worldwide, with a reduction of only 21 percent from 1990 to 2015. The Index also points to a need for safe spaces in terms of mental health: 49 percent of youth surveyed said their lives are too stressful, and suicide rates have fallen by only 10 percent in 25 years. "To me, 'safe spaces' happen when a person’s external environment and internal psyche give room for the person to explore personal, community, and even societal definitions of success," says Crystal, 32, a YouthActionNet Laureate Global Fellow from Singapore. "We all need to work on equipping youth with a variety of healthy ways to express themselves," she adds. “Safe spaces are places where I can be comfortable in my own skin, where I won’t be attacked for the things I say or do," says Camiera, 18. She is taking part in the Baltimore adaptation of the Orale program through (Re)Connecting Youth, an IYF initiative focused on global learning exchanges supported by the Robert Wood Johnson Foundation. "Safe spaces are places where you can express how you feel. In Baltimore, indoors are safe spaces; the outdoors are compromised. The murder rate [seemingly] goes up every day and every year in this city." “Safe spaces mean everyone moves easily without fear," says 31-year-old Mohammad, a social entrepreneur and BADIR fellow in Jordan who is a member of the YouthActionNet global network. "For the urban young poor people, a safe space can simply mean access to shelter—somewhere they feel protected and their dignity is guaranteed," says Muzabel, 28. A summer intern at IYF, graduate student at Georgetown University, and social entrepreneur, he is originally from South Kivu, Democratic Republic of Congo. "With this dignity, young people acquire the ability to seek ways to assume agency over their lives, as well as have a voice on what matters to them and to society in general,"
Gender and different experiences among men and women also can dictate needs and worries. Among young women surveyed for the 2017 Global Youth Wellbeing Index, 42 percent fear walking home alone at night, and 52 percent report sexual harassment and violence as a top safety concern. By comparison, nearly half of the young men (48 percent) cited terrorism. 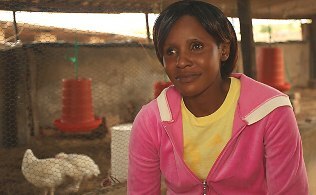 "Girls living in poverty, for example, need safe spaces to freely share their problems, access crucial services, and ensure they have protection from sexual abuse and exploitation," says Muzabel. "Safe spaces are those that ensure young people can achieve their potential, by enabling them access to essential reproductive health services, quality formal and technical education, and opportunities to create livelihoods." “Safe spaces are environments that prevent youth from being vulnerable to bad behaviors or habits," says 18-year-old Via participant Mariam in Tanzania. Her response is echoed by other young people in Sub-Saharan African in particular, but also youth more than 7,000 miles away, in the United States. "There is so much peer-to-peer influence among youth, and that’s how most of them engage in crime and drugs. I am proud to have positively influenced the youth in the community where I live,” says Joseph, who went from idleness to opportunity as a participant in the Sport for Kenyan Youth Employment initiative, which was carried out in partnership with Barclays Bank PLC, in Kenya. 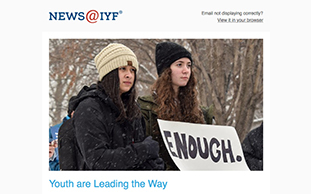 Many young people, such as those who belong to the YouthActionNet global network, already are demonstrating their leadership skills. Others still express a desire to participate and have more youth participate more fully in decision-making. Young people's responses, emphasizing education and love of family, also indicate how hungry they are to learn and grow. “Youth have a lot of potential, we just need opportunities to develop that potential," says Genesis, 18, a chemical engineering student in the Dominican Republic and a NEO participant. "I participated in a summer camp that emphasized STEM and introduced it as a career path. I liked science before, but after this camp I saw it in a different way. Now, I’m in college studying to be a chemical engineer.” NEO is a multi-stakeholder alliance led by the Inter-American Development Bank (IDB), through its Multilateral Investment Fund (MIF) and its Labor Markets Unit, and IYF. In terms of what should be done to make communities safer and more inclusive, Laith, a 24-year-old BADIR fellow, says "Give equal opportunities, and enact laws that are built on a vision for the future, not the current moment." 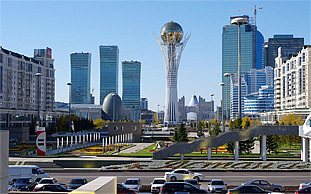 Madlen, a 20-year-old Zangar participant in Kazakhstan emphasizes that incremental change matters. "Safety must be felt," she says. "It should be felt, from safe and equipped asphalt, from the lantern which burns at night on the road. We must start with small things to achieve great goals." Youth responses about how this change happens—as well as action we've already seen young people taking globally—indicate they're not content to wait idly by.